The Oceana Casino on Front Street caught fire and nearly burned to the ground Wednesday afternoon. People playing cards inside the casino escaped, but the building was destroyed in the blaze. Five Cities firefighters Cal Fire and San Luis Obispo firefighters responded to the blaze. 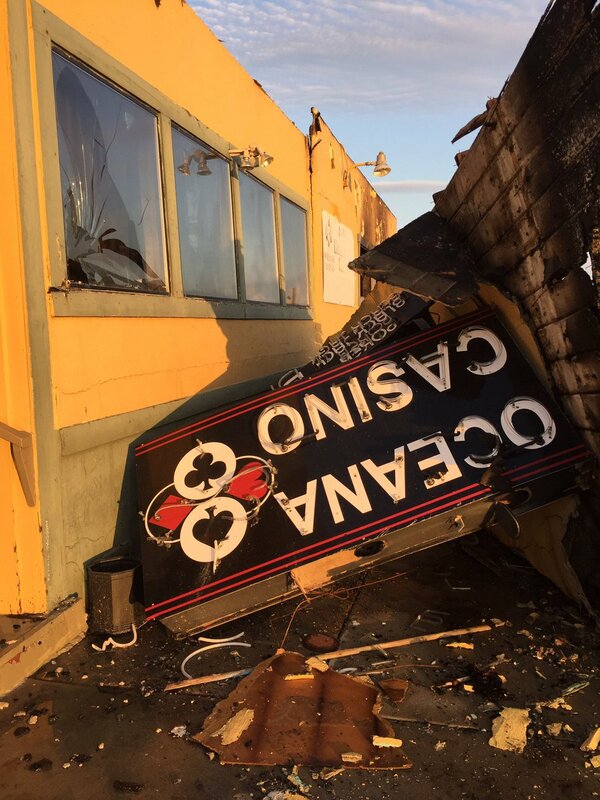 Firefighters managed to extinguish the blaze, but the Oceana Casino’s roof collapsed, as did the business’s sign. 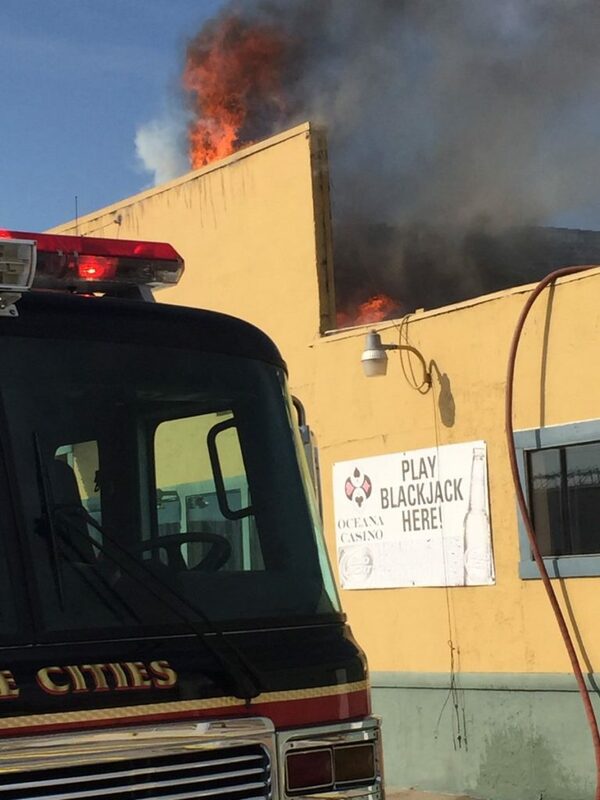 KCOY reports more than a dozen people were inside the casino when the fire broke out. Everyone escaped uninjured. The casino owner said, under state law, smoking was never allowed inside the card room. The fire reportedly started on the side of the building and then burned into the roof. Fire officials say the building did not have fire sprinklers because of its age. The building was one of the oldest structures in Oceano. It was built in the early 1900s. And I was holding a full boat, damn-it. Look for renewed pressure to open a card room on Palo Mesa, next to JJ’s Market. We stopped it last time. These gamblers should take the bus to Chumash.